Horace Edward Williams joined the faculty of the Department of Applied Mathematics in the School of Engineering in 1958. He served a term as chairman of the department until its transition into the Department of Mathematics in the College of Arts and Science in 1970, where he was the director of undergraduate mathematics for engineers. Williams spent his career concerned with the quality of math education at all levels. He contributed to several textbooks on engineering applications of mathematical and statistical methods and conducted research on improving the teaching of mathematics at all levels from elementary school through college. A Nashville native, Williams earned his bachelor’s degree in chemistry and mathematics from Vanderbilt University in 1953. After graduation, he served in the U.S. Army, training in counter-intelligence and working in the Projects Control Division at the Ballistic Missile Agency. He returned to Vanderbilt to earn a master’s degree in mathematics before working as a quality control analyst with the Ford Motor Co. Glass Plant in Nashville for two years. After joining the Vanderbilt faculty in 1958, he began work on a doctoral degree in mathematics at George Peabody College for Teachers. He received his Ph.D. in 1962; his dissertation focused on potential new techniques in math education, including the use of television as a teaching tool. He was a loyal fan of Vanderbilt athletics and a longtime season ticket holder to Vanderbilt football, baseball, men’s basketball, and women’s basketball games. Williams was very active in both the National Council of Teachers of Mathematics and the Tennessee Mathematics Teachers Association, or TMTA. 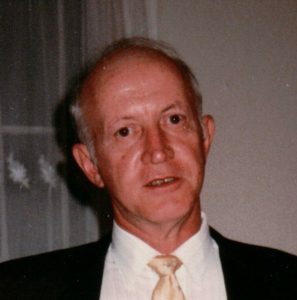 He served a term as president of TMTA, edited the TMTA Bulletin for two decades, and was involved for many years with TMTA’s Tennessee State Math Contest. He also volunteered for a number of years with the Middle Tennessee Science and Engineering Fair. In the community, Williams served on the board of directors of Cumberland Heights and was significantly involved with the organization for more than 36 years. He also served on the board and was an active member of the Alcohol and Drug Council of Middle Tennessee. Williams became an emeritus professor of mathematics in 1998. He died Dec. 31, 2018. He was 87.